They, apparently, were not satisfied with just a Krispy Kreme single cheeseburger. This beast of a burger is currently being sold by Chicken Charlie's at the San Diego County Fair. The good folks over at The Consumerist have collected some tweets from people who tried the burger and lived to tell the tale. 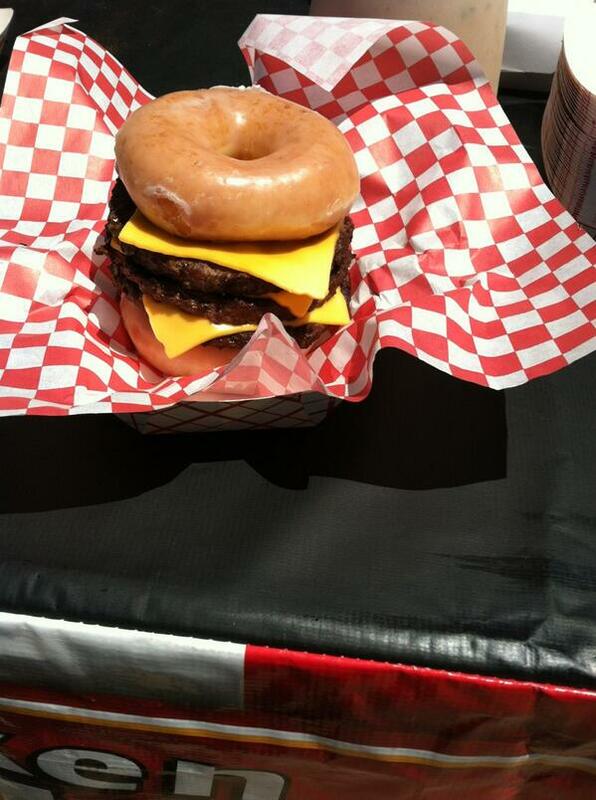 Here&#39;s that triple cheeseburger on Krispy Kreme bun. 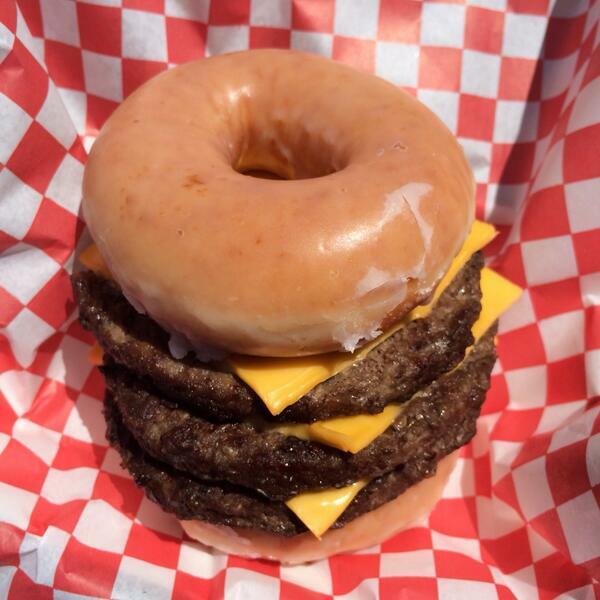 Here's that triple cheeseburger on Krispy Kreme bun. You can also get it as a triple, because if you're going to do something disgusting and insane you might as well take it as far as you can. #sdfair how is this even legal?? Lol triple cheeseburger with Krispy Kreme "buns" lol. I get sick looking at it. #sdfair how is this even legal?? 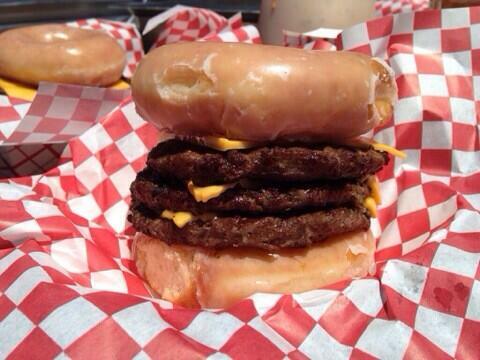 Lol triple cheeseburger with Krispy Kreme "buns" lol. í ½í¸³ I get sick looking at it. Oh, and in case you haven't reached your limits of what is acceptable to pair with glazed donuts, they also sell a Krispy Kreme sloppy joe on a glazed donut.